This popular book was written by Jason Bertalli, the director of our Business Services division. There was a time, in the not so distant past, that running a business seemed easy. If you were good at your trade, you eventually set off on your own, built up a customer base, hired some staff and ran your business. This organic growth model has worked very well for a lot of people. In some cases it still does. But for most industries today, it is no longer so easy. Feel free to contact Jason to chat about the New Way of doing Business. This popular book was written by Jason Bertali, the director of our Business Services division. There was a time, in the not so distant past, that running a business seemed easy. If you were good at your trade, you eventually set off on your own, built up a customer base, hired some staff and ran your business. This organic growth model has worked very well for a lot of people. In some cases it still does. But for most industries today, it is no longer so easy. 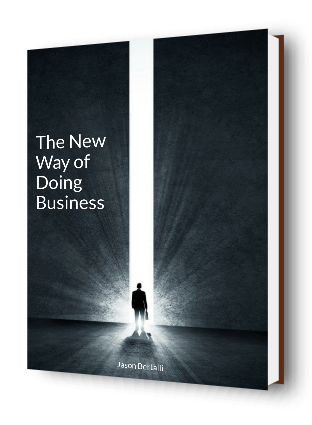 Follow Jason as he explains the New Way of doing Business.